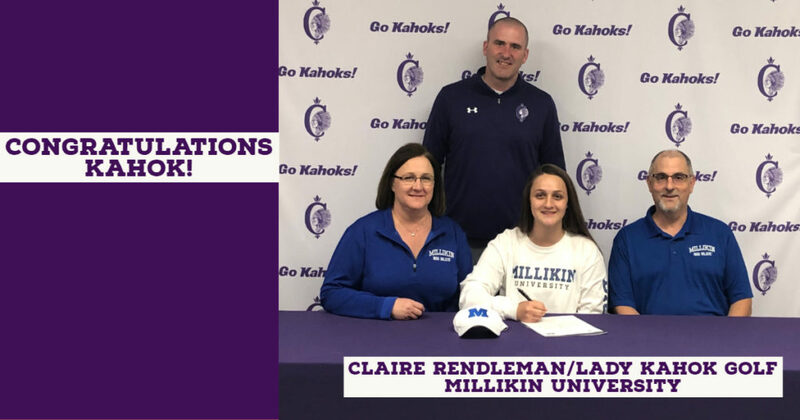 On Thursday, April 4th, 2019 in the CHS Athletic Conference Room at Collinsville High School, Lady Kahok Golfer Claire Rendleman signed a National Letter of Intent to continue her academic and athletic career at Millikin University. “Claire displayed great work ethic throughout her 4 years at CHS. During the off-season, she would commit herself to improving her golf game. She worked individually at Arlington and participated in Jr. PGA events throughout the spring and summer.